A.N.Other 14 Dec 2017 15:50 pm said.. I'm sure we're all disappointed Moriarty is not here for the long haul, but looking at the impact he has had in underperforming Gloucester (and Wales for that matter) teams in the past, it is scary too think the devastation he could cause if fit to complement this current side in rich form. If Moriarty can be at his best, joined by the other high-profile injured (Marshall who I'd like to see in the centres, Woodward as a fullback or wing, and Ben Morgan back and firing on all cyclinders at 8) they could make all the difference in securing a 100% home record, and dare I say it, a realistic tilt at the top 4 if others continue to falter around us with the aftermath of the Lions, the toll of the Champions Cup, and the upcoming Six Nations all weighing more heavily on the likes of Saracens, Leicester, Wasps and Bath. RTS2 14 Dec 2017 15:57 pm said.. I'd be interested (genuinely) to hear if you have some inside knowledge of this whole episode Jasper? Nick it's fair to say no one has "the truth" ( whatever that might be ?). Only those within the club including Ross , Stephen Vaughan and David Humphreys might know it ?. I have said his reaction ( although not necessarily wise through twitter ) to whatever had been building up - frustration ? media speculation ? supporters speculation ? and who knows what within and outside of the club ? was most likely just that- a reaction . The hype surrounding all of this has been way out of proportion. This is a forum where we make speculation on a daily basis. Some of it is based on some knowledge but seldom ( when it comes to speculation like that surrounding Ross ) is it based on the truth. I hope we do hear Ross Moriarty's side of the story where it counts the most. On the pitch wearing a Gloucester Rugby shirt. I do fear he isn't ready yet for on- field duties and somehow I don't think he will be for a while ?. I'm sure the WRU will be monitoring his progress and won't want him pushing beyond what he can handle at this stage of his rehabilitation. Only time will tell if he's going to be fit enough this season to play for Gloucester Rugby again. I sincerely hope he gets himself ready and fully- fit again, even if it's in time for the Dragons and Wales next season. The boy gave 100% every time he played for Gloucester Rugby and we should be supportive of him whether his fitness returns this season or not. In my books he's still one of us. He's been a stand out player for Glaws in times of poor coaching. Last edited by RTS2 on 14 Dec 2017 16:23 pm, edited 1 time in total. Oxford Glaws 14 Dec 2017 16:02 pm said.. I just wondered if Jasper8, who has only posted on here twice, might have some special insight. Lebowski 14 Dec 2017 16:18 pm said.. I'm sure the WRU will be monitoring his progress and won't want him pushing beyond what he can handle at this stage of his rehabilitation. Andy I suspect I might not be alone here but given the way things have panned out I really couldn’t give a flying duck what the WRU want! Just possibly the management at GR might feel the same! RTS2 14 Dec 2017 16:51 pm said..
Leb, It just seems common sense to me that he's going to a club owned by the WRU and he will potentially be a main feature for their World Cup plans. Ross sustained a serious back injury. Whatever re-aggravated it ( he played against Leicester in the Anglo-Welsh and came off) it's fairly clear the boy has been fighting to get himself back fit since he returned from New Zealand. It was clearly a serious injury. For all we know his injury may be a recurrent one now ? ; and it's only fair to assume that they would want to monitor his progress. It would be just the same if he was an England player- with Eddie Jones monitoring a player. Perhaps that would change things ?. I don't think so. All I'm saying is the boy has a long career ahead of him ( hopefully) and he deserves the time to get fully fit before he plays again. None of us know the state of play, and the club might announce he's fully fit next week !. I somehow can't see it, but hopefully I'm wrong. Nothing would make me happier than seeing him run out at CG before he leaves for Dragons. Here's keeping everything crossed. I don't get the ongoing negativity towards the boy from some quarters btw. Last edited by RTS2 on 14 Dec 2017 17:37 pm, edited 1 time in total. Mark from Stroud 14 Dec 2017 17:00 pm said..
For all we know his injury may be a recurrent one now ? ; and it's only fair to assume that they would want to monitor his progress. It would be just the same if he was an England player. Perhaps that would change things ?. I don't think so. Why would the WRU want to monitor his progress if he were an England player? CMGC 14 Dec 2017 17:16 pm said..
CWB makes a good point. Perhaps Eng would be better off making the U20 the second designated team. I wonder how many 5 caps players have NOT played for the U 20's and then how many only did the Saxons as a stepping stone. It seems most teams do a U20's so that would be a more universal route to locking in young talent and allowing everyone to know the path going forward. As for RM - As said above the clb will know where they stand with him and tthey are best placed to judge when/ if he plays for Glos next. That is good enough for me as we out here don't and never will have the full story from which to judge matters. 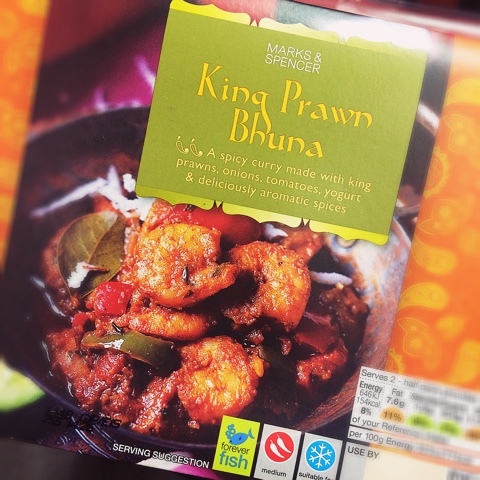 King Prawn Bhuna 14 Dec 2017 17:19 pm said.. So he was born in England, played for England chooses Wales. Product of Gloucester Academy played for Gloucester and achieved international recognition whilst at Gloucester. Why wouldn't England come and admire what they created? RTS2 14 Dec 2017 17:24 pm said..
Mark I'm not meaning that. It may have come across the wrong way ( so I've qualified the posting), but I am trying to say if he were an England player I'm sure Eddie Jones would be entitled to take a close interest and monitor the players rehabilitation. The WRU are also entitled to do so in just the same way. Let's not forget he's a British Lion as well and I'm sure we will all be shouting for him if he's on the next Lions tour. Baz 14 Dec 2017 18:15 pm said..